If the neutral conductor is correctly sized (including harmonics), no specific protection of the neutral conductor is required because it is protected by the phase protection. However, in practice, if the c.s.a. of the neutral conductor is lower than the phase c.s.a, a neutral overload protection must be installed. If the c.s.a. of the neutral conductor is lower than the c.s.a. of the phase conductor, the neutral conductor must be protected against short-circuit. If the c.s.a. of the neutral conductor is equal or greater than the c.s.a. of the phase conductor, no specific protection of the neutral conductor is required because it is protected by the phase protection. The need to break or not the neutral conductor is related to the protection against indirect contact. The neutral conductor must not be open-circuited under any circumstances since it constitutes a PE as well as a neutral conductor. In the event of a fault, the circuit-breaker will open all poles, including the neutral pole, i.e. the circuit-breaker is omnipolar. 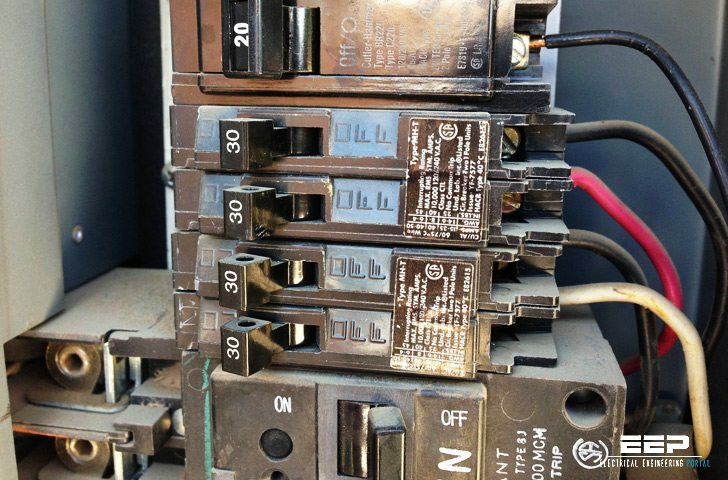 The action can only be achieved with fuses in an indirect way, in which the operation of one or more fuses triggers a mechanical trip-out of all poles of an associated series-connected load-break switch. It is considered to be the good practice that every circuit be provided with the means for its isolation. If the circuit is protected by a RCD which sensitivity is less than 15% of the neutral admissible current. CAN YOU PLEASE COMPARE THIS TO NATIONAL ELECTRICAL CODE OF USA. THE NEUTRAL IS NOT PROTECTED. IN YOUR OPINION WHOSE CODE IS THE BEST? THANKS. sir last day leave a comment but no any responce. pls ans my question.